I’ve had a couple of weeks off from writing. I needed a break after finishing Gilded Scarab before I start the hard edit of it to kick it into shape. So I gave the house a spring clean instead – which was folly of the worst kind. 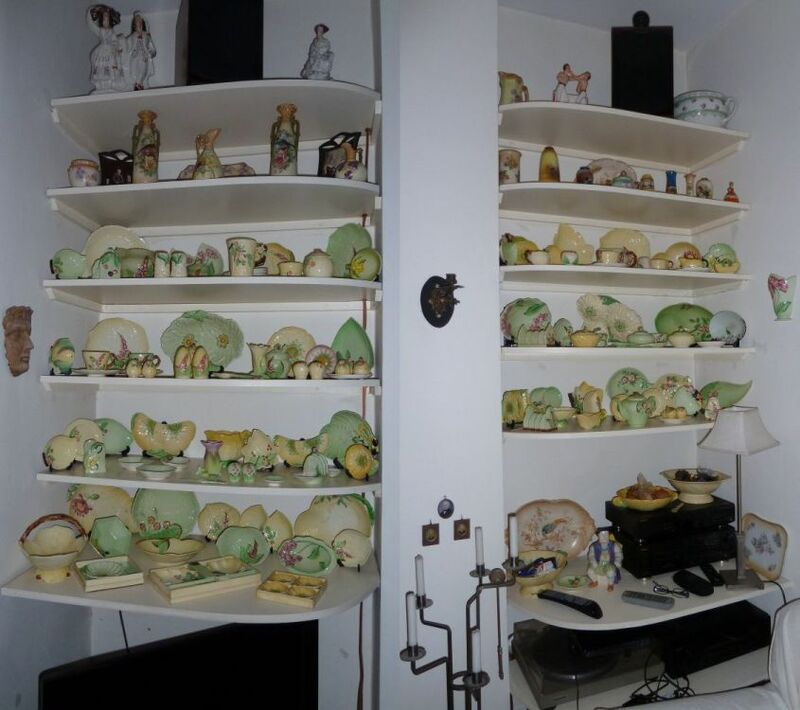 Carltonware is lovely stuff, my pretties, but not when you have over 200 pieces of it crowded onto shelves in your living room that hadn’t been dusted since sometime prior to Noah’s Flood – see photo, which is a composite showing the alcoves on each side of the chimney. I have spent a week clambering up and down the stepladder and have hand washed every single one of those darn pots. It all gleams and glimmers now it’s clean and dust free but my heart is sinking with the knowledge that I’ll have to do it all again in a few months and at least *try* to keep things clean in the interim. Perhaps I can put a weekly cleaner down as a business expense? After all, if I’m cleaning china, I ain’t writing. Legit, do you think? Worth thinking about, anyway. The edit of Gilded Scarab will start in a couple of weeks when my wonderful betas and crit group have digested the whole thing and sent me back their comments. I don’t think it’s in bad shape right now, but it will benefit from being tightened up and sharpened. While I wait for their “Ach, Anna, what were you thinking here?” and “Good lord, girl, you can’t have him doing *that*!”, I’ve been going over the first rough draft of the third Shield story, and transferring it to Scrivener to start work on it. I’ve chunked it up into rough chapters and tomorrow, when I’ve done some beta-ing for a fandom friend – I’m going to start on it. Does it matter, do you think, that the chapters are uneven lengths? Anything from 6 pages to 14. Would it annoy you as a reader? What do you do when the breaks in action/ PoV/ dialogue say “Here. Stop the chapter here.” when really it means that this chapter is going to be ten pages long and the one before it, where Flynn was angsting all over the space ship (grins) was only 5 and a half? Do you listen to the story and break it there or do you shoehorn material in to try and keep the chapters of an even length. Do tell me. Anyhow, while you think about your answer, here’s a picture of Matt Bomer, who is the perfect Bennet. You know, personally I don’t care how long the chapter is as long as he’s in it. Sadly that’s a stock shot of the china, but I will photograph the alcoves later today and post them – I have far more than that! Now that was a cleaning job I don’t envy you for! Although, the end results look lovely. I’m so excited about you finishing “Gilded Scarab”! Matt Bomer…nice! Sadly, that’s a stock shot of china but I will photograph mine later today and put the pictures up. I have more than that! I’m coming around to agreeing with you about the chapter lengths, but the disparity did bother me a bit! 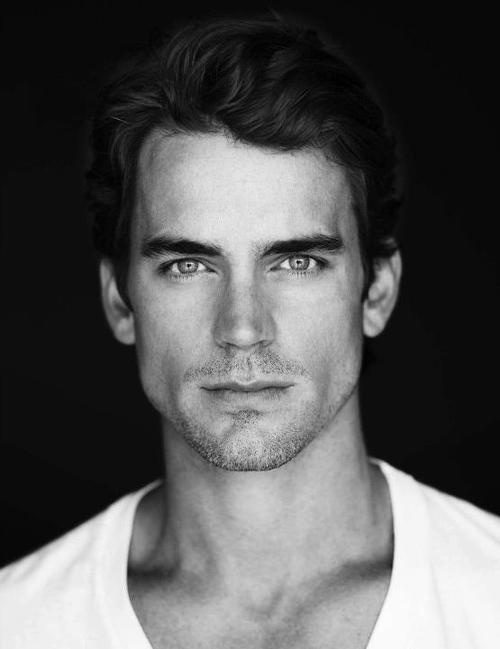 Amd Matt Bomer… guh. The man is just Bennet to the life. I agree with Sarah above. The Infamous Novel has some chapters that are only 4-5 pages, and some that are over 10. And the Intro is just one page. Matt B is just drop dead gorgeous. Totally beautiful man. And my Bennet! The IN is 32, plus the Intro. That translates into 345 pages in my preferred 12 point font, and 177K words, but that also includes notes and comments. Why, yes, I do need to chop it in half somewhere, but so far, no one’s had any suggestion for where. I’m currently trying to find a good place to break it in at least two chunks. It’s a fast read (Karen Davis read the entire monster in one weekend, the same weekend we watched all three LotR movies), but still, 177K is just too long. The worse problem for me right now, though, is that I’m really hating my female main character. She is *such* a romance novel heroine right now! And that is *not* Alla!